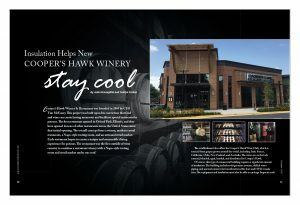 Cooper’s Hawk Winery & Restaurant was founded in 2005 by CEO Tim McEnery. This project was built upon his conviction that food and wine can create lasting memories and facilitate special moments for patrons. The first restaurant opened in Orland Park, Illinois, and they have opened dozens of other restaurants across the United States since that initial opening. The overall concept fuses a winery, modern casual restaurant, a Napa-style tasting room, and an artisanal retail market. Each restaurant hopes to create a unique and memorable dining experience for patrons. The restaurant was the first outside of wine country to combine a restaurant winery with a Napa-style tasting room and retail market under one roof. The establishment also offers the Cooper’s Hawk Wine Club, which is sourced from grapes grown around the world, including Italy, France, California, Chile, New Zealand, and Australia. 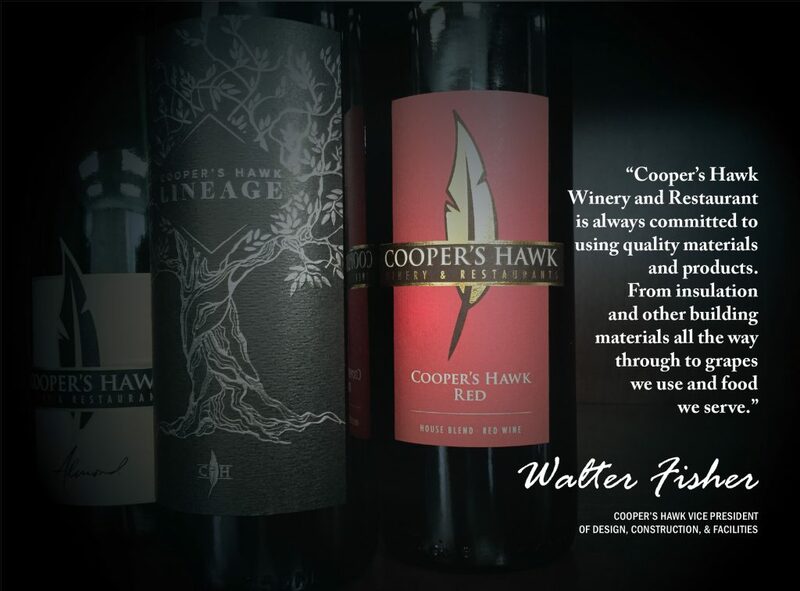 The wines are exclusively sourced, blended, aged, bottled, and distributed by Cooper’s Hawk. Of course, this type of commercial building requires a significant amount of insulation. The building includes refrigeration systems, chilled water piping, and normal commercial considerations like duct and HVAC insulation. The equipment and insulation must also be able to undergo frequent wash downs, so properly designed systems with correctly-selected insulation and jacketing, and professional installation are particularly crucial. 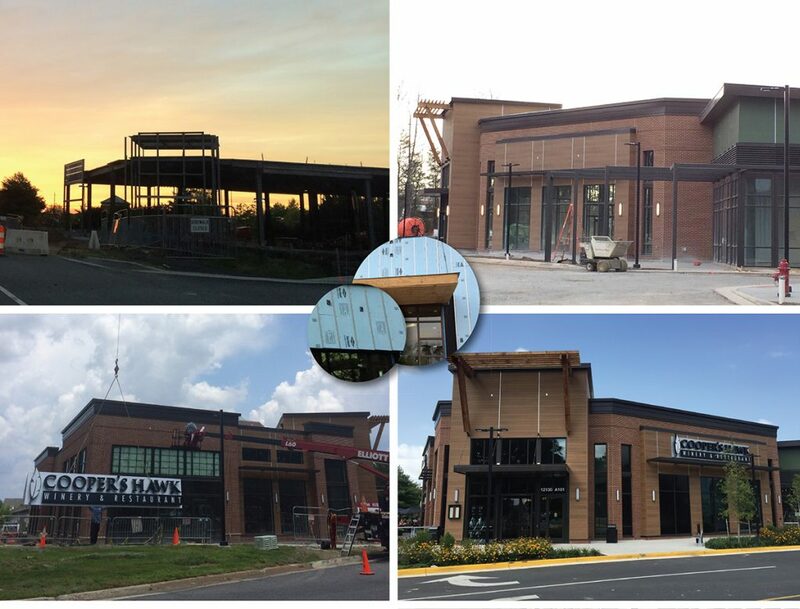 Since the wines are not created at each location, the insulation needs are similar to other restaurants. In addition to the normal requirements for chilled water lines and a commercial HVAC system, these restaurants have additional refrigeration needs. They need to refrigerate food and have temperature-controlled lines at the bar for both beer and a unique wine storage system. They also need to maintain temperature control over select bottles of both red and white wines. The insulation system design for this project included a mixture of Extruded Polystyrene Foam (XPS) for the building envelope. elastomeric; duct insulation; high temperature, fire-rated mineral fiber; and PVC jacketing are commonly used for these types of mechanical systems. The unique needs of the wine chain and the need to clean for food preparation led to the selection of these materials. Cooper’s Hawk Restaurants favor California wine country architecture and can accommodate approximately 300 guests. The award-winning chain offers a paired wine suggestion with each menu item, and everything is made in the restaurant’s kitchen with a focus on including seasonal ingredients. The menu features contemporary American food with 110 dishes with flavors from all over the world. Patrons who step into the tasting rooms at the restaurant may not notice the insulation systems, but its ability to maintain a comfortable temperature will surely enhance their appreciation of fine wines.